Amazing place, very clean and helpful staff gave me a free room upgrade. Very social, fun place. Within walking distance to everything you might want to see. Great value, basically the ideal hostel. 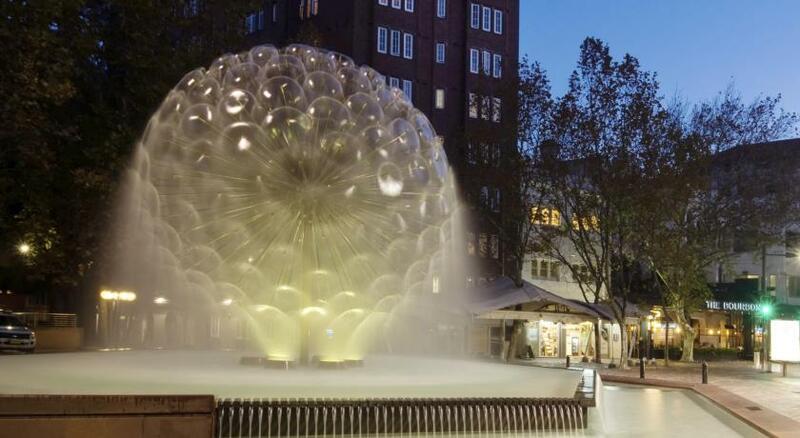 The location is perfect, close to Kings Cross station. Situated in a lot of pubs and restaurants and you will not run out of choices. The staffs were friendly and nice. Free breakfast in located in the next door and you can eat all you want. 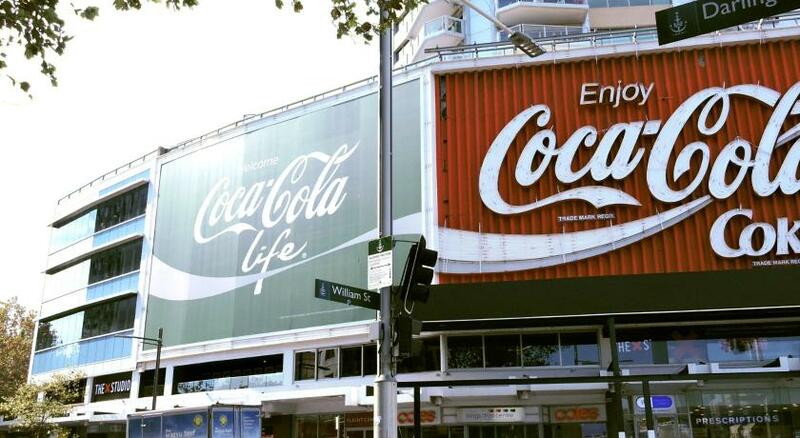 The location is good, train really close, many buses, Coles two blocks away. Great location, good breakfast included. The staff is great. Nice common areas and great barbecues and taco Tuesday for 1 dólar. The free breakfast is amazing! Cereal, poached eggs, pancakes, baked beans, toast, juices, hot drinks! Staff are great and friendly. TV room is good. 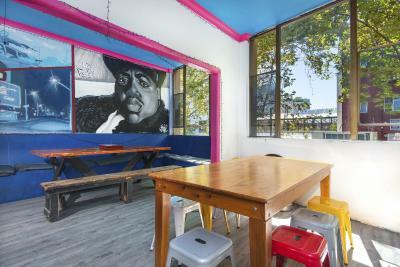 The hostel is close to the city with cheap eateries around. 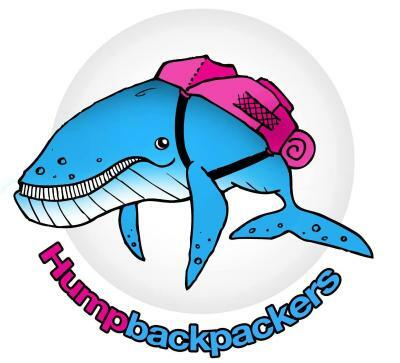 Hump Backpackers This rating is a reflection of how the property compares to the industry standard when it comes to price, facilities and services available. It's based on a self-evaluation by the property. Use this rating to help choose your stay! 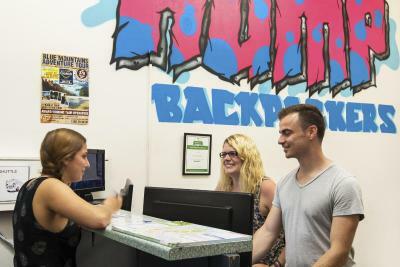 Offering free WiFi and free continental breakfast, Hump Backpackers offers accommodations with included bed linen. 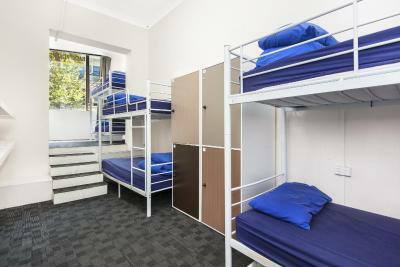 Located in the heart of Kings Cross, the hostel is surrounded by bars, cafes, restaurants and clubs. 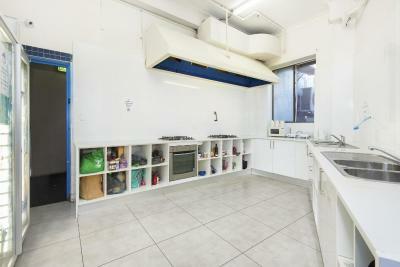 There are several communal areas including a TV room, a shared kitchen and a dining room. The Blue Room offers sofas, a stereo system and a TV with sports channels. Guests can also enjoy an outdoor BBQ on the sun terrace. The tour desk books Blue Mountains tours, sky diving, walking tours and access to major attractions such as Sydney Aquarium and Taronga Zoo. Kings Cross Hump Backpackers is just 650 feet from Kings Cross Station and has bus stops within 30 feet. Sydney Opera House and the Royal Botanic Gardens are a 10-minute train ride away. Bondi Beach is a 15-minute bus ride. 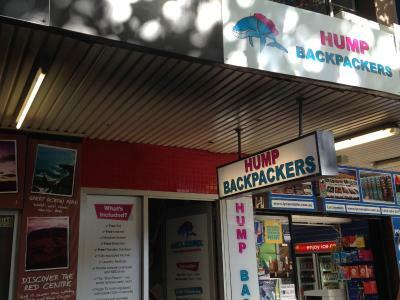 When would you like to stay at Hump Backpackers? 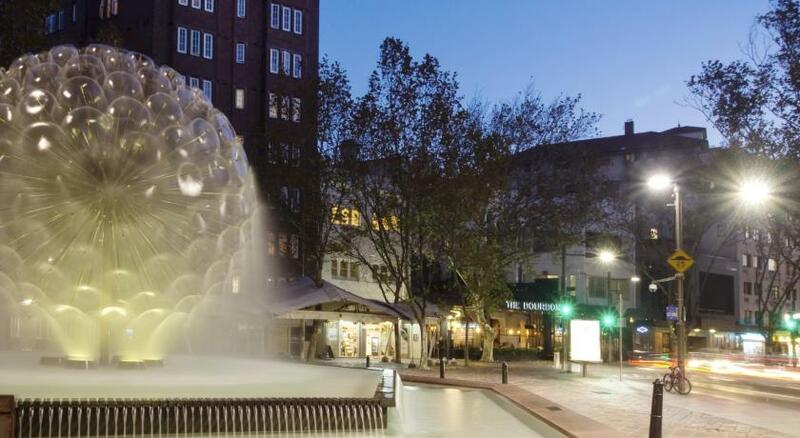 Located in the heart of kings cross, everything you need is just a short walk away. You can walk to the Opera House and Harbor Bridge. Daily activities and entertainment, from BBQ’s to bingo, clubs to cruises. 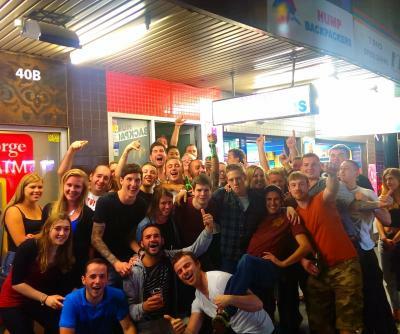 House Rules Hump Backpackers takes special requests – add in the next step! Hump Backpackers accepts these cards and reserves the right to temporarily hold an amount prior to arrival. If you expect to arrive outside reception opening hours, please inform Hump Backpackers in advance, using the contact details found on the booking confirmation. It was like an old house in South America. A seriously old and unmanaged room is likely to come out of Bedberg. As expected, I was bitten by Bedberg and made a reservation for five days, but I slept only for one day and moved to another place. It's cheap, but that's a waste of money!!!!! It's close to the station, and you can get to the city in ten minutes by subway. That's all. The crowd was drunk & too rowdy the management didn't do anything about it. They are strict on cleanliness (wanted to evicted the whole dorm when one person left smelly shoes in hallway) but lenient towards drunkards and loud noisy people. They should provide more toilets or provide separate toilets from shower for these drunkards because they been banging on bathroom doors (while people using to shower) to pee or vomit or whatever. Rowdy vulgar drunkards. Had to wait 45 min to check out ! Bathroom was not clean ! Showers where broken ! Window open to busy street ! Very hot in the kitchen usually. Excellent breakfast. Very convenient location. Great staff, especially the assistant manager Tash and Tanya. The beds are really uncomfortable, shaking as you wake up in the middle of the night thinking that an earthquake is happening. and the mattress are too old, to thinny..sleep on the floor is much better. Hostel is not clean at all, despite the efforts of the staff to keep it so. There is a particular smell all over. Lots of people and can be noisy, but nothing unexpected from a Hostel. It is OK for single travelers for few nights. The area of the hostel is very bad. A lot of difficult clubs there. Because of this, it is very very loud at night. You can't walk to the central and the train goes only till eleven. The room had only a fan, so it was very hot at night. The beds are so cheap that you feel ever breath of the person underneath you. It is very dirty in the hole hostel. I felt very uncomfortable there and would never book it again. 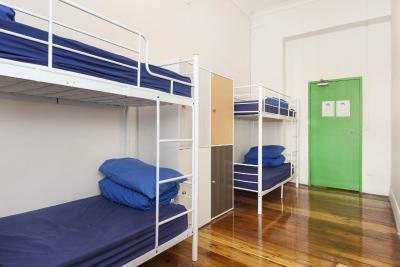 So please don't choose this hostel if you want sleep or even a good stay in Sydney. Stink , both room and toilet , the room have some humid carpet smell, and toilet is stink at night ,but actually toilet in the morning time is alright. It was bed bugs in my bed, people smoking weed in the garden and bad attention from the staff.. The other guests were horribly rude and disrespectful. There is absolutely no reason to conduct a loud, drunken conversation in a dorm room at 4am when you can use the common area.